Sarah Ferguson, the Duchess of York, may not be an official member of the royal family anymore, but when out and about in public, she still boasts the impressive wardrobe of a Duchess. Most recently, Prince Andrew’s ex-wife stepped out in a pair of stunning, blush-pink ballet pumps, which she paired with a simple black dress and matching pink blazer. And there was a subtle detail on the front of the shoes which made them particularly unique. 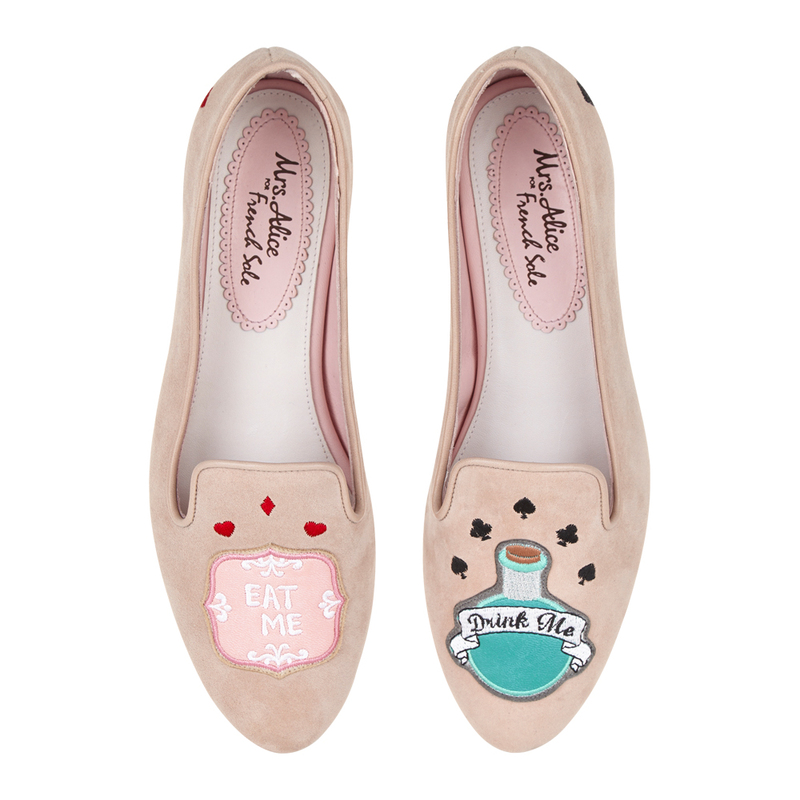 Sarah’s pumps featured a subtle Alice in Wonderland motif on the front, with one shoe sporting the iconic ‘Eat me’ phrase on top of a cookie, and the other saying ‘Drink me’, on top of a curious-looking bottle of liquid. Fergie’s shoes come from perhaps one of her favourite footwear brands, French Sole. The Duchess has regularly worn shoes from the retailer over the years – most frequently favouring her blue velvet butterfly pumps from the store. These pink pumps appear to be a new pick for Beatrice and Eugenie’s mum – and we have to say, we’re a fan. However, it seems Sarah’s not the only one who loves the shoes, as they’re selling out pretty quickly on the French Sole website. At the moment, only a size 40,41, and 42 are still in stock. They’re available for £200, so are on the slightly pricier end of the scale. However, we’ve hunted down some look-a-like pairs for you to feast your eyes on – so never fear. If you love the suede look on Fergie’s chosen shoes, these Kurt Geiger pumps will be perfect for you. 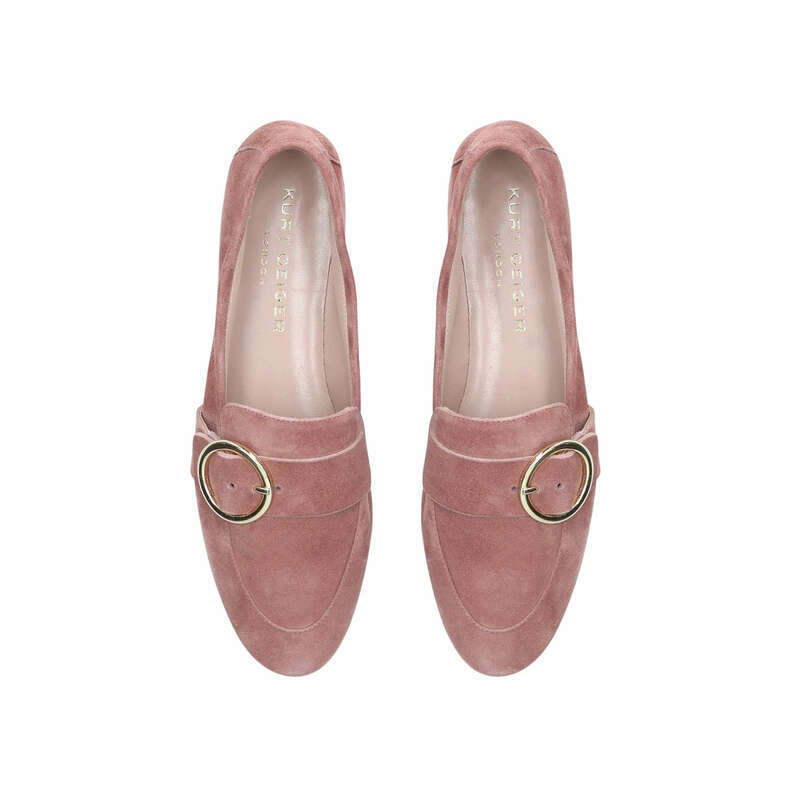 On sale in a darker pink that the Duchess’s, these £129 pair of shoes are a great investment. 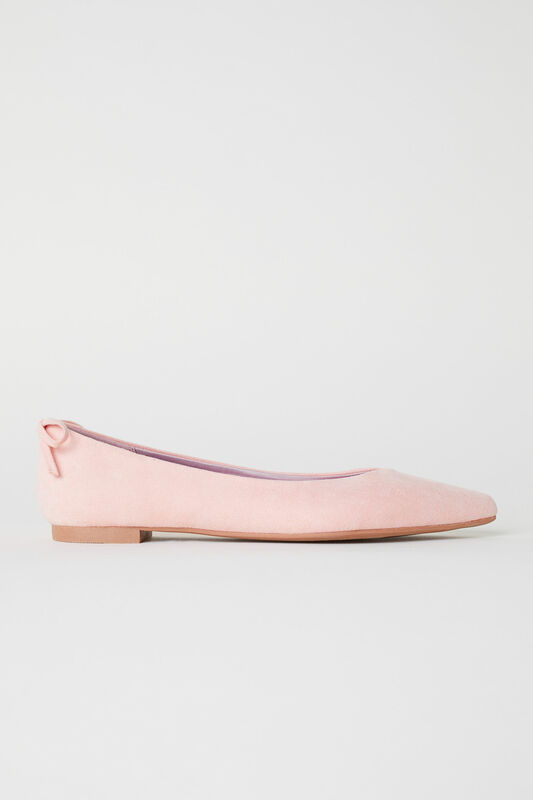 However, these H&M pumps are also a winner, given that they’re on sale for a much more affordable £6. They may not have the motif detail of Fergie’s shoes, but for the price, we think it’s worth it. Will you be mimicking Fergie’s summer style with a pair of blush-pink pumps?